GLENDALE, SC: Josephine “Jo” Fleming, 81, passed away Sunday May 20, 2018. She was the wife of the late Harold Fred Fleming and the daughter of the late John and Katie Lee Waldrop. 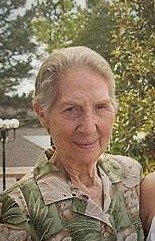 Mrs. Fleming was a cook in the Ingles Deli of Hillcrest and an active member of Glendale Baptist Church. She was a loving devoted mother and grandmother and was loved greatly by her family, friends and all who knew her. She is survived by a daughter Leslie Blackwell and husband Todd of Spartanburg; two sisters Betty McKelvey of Boiling Springs, and Joyce Webb of Spartanburg. She is also survived by six grandchildren, fifteen great grandchildren and numerous nieces and nephews. She was predeceased by thirteen brothers and sisters. Visitation will be 2:30-3:30 Thursday May 24, 2018 at Glendale Baptist Church. Funeral Service will be 3:30 officiated by Rev. Daniel Blackwell.